Once again, a dazzling ‘Evening of Dance’ promises to thrill audiences at the Darien Arts Center’s annual performances at 7 p.m., Saturday, Oct. 20 and at 4 p.m., Sunday, Oct. 21. Celebrating it’s 18th year, the DAC’s ‘Evening of Dance’ will showcase an impressive culmination of performances by the DAC Dance department staff, and the adult and student performance groups that have worked together since 2000. Under the direction of DAC Dance Director Bonnie Gombos, instructors and students have developed, choreographed and polished performances to feature the versatility of the dancers in a wide variety of dance forms. 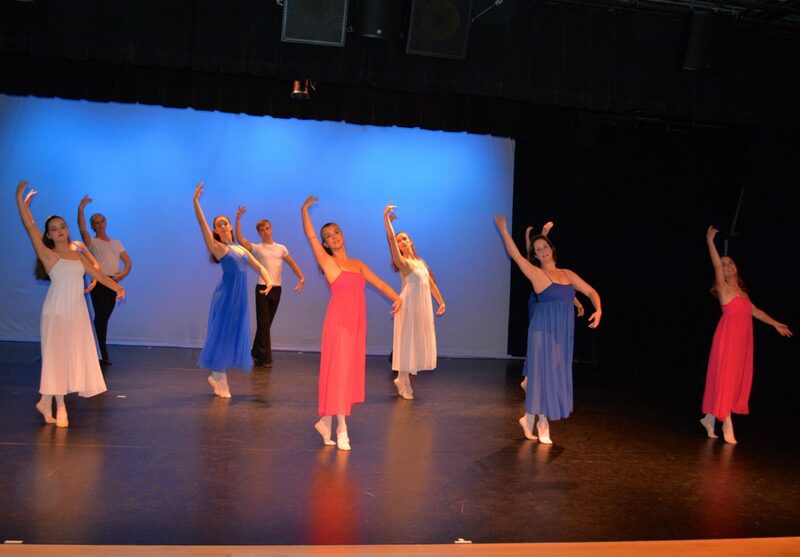 Pictured are members of the DAC Senior Dance Company at a previous “Evening of Dance” performance at the Darien Arts Center. Performances will encompass classical ballet, modern, contemporary jazz, and ballroom styles, and approximately 30 dancers will perform in the 90-minute show. New this year: Dancers have picked their favorite dances from over the years to perform a “best of” show. ‘An Evening of Dance 2018’ will take place at the DAC Weatherstone Studio, behind the Town Hall. Tickets are $15 and reservations are recommended as both shows usually sell out. To make reservations email Bonnie Gombos at Bonnie@darienarts.org or call the Darien Arts Center at (203) 655-8683 for more information.